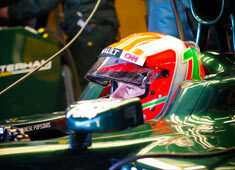 Jarno Trulli declared that he was not surprised by his replacement at the Caterham F1 Team. The team announced that they will replace the Italian by Vitaly Petrov. This means that Trulli, who raced in 256 Grands Prix, will not appear at the 2012 grid. Jarno Trulli said to the news agency 'Ansa': "Personally I'm not displeased: I was prepared for a possible divorce from Caterham, in the knowledge that the difficult economic situation would have pushed the team to find an adequately-supported driver." "Small teams have certain needs and contracts are clear. I hope that, with Petrov's contribution, all the people who work there can have a more serene future." Trulli, now 37, still has plans to continue racing in the future: "I own a wine production company and a hotel in Switzerland so I'm quite busy, but my job is racing driver and that's what I count on keep doing: either in Formula 1 or elsewhere."